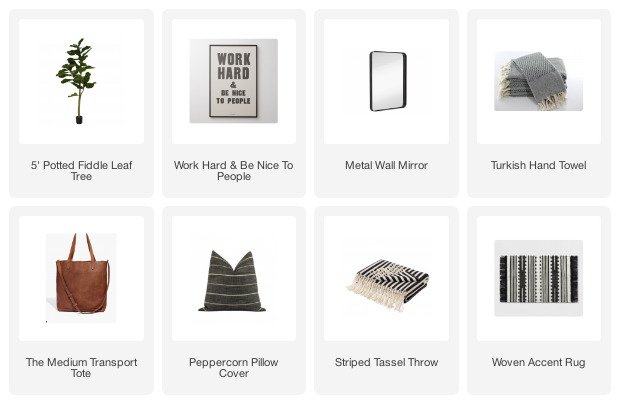 Have you all checked out the latest fall decor at Target? I stopped in the other week to pick up a few things during my lunch break and got completely sidetracked by their new fall decor. 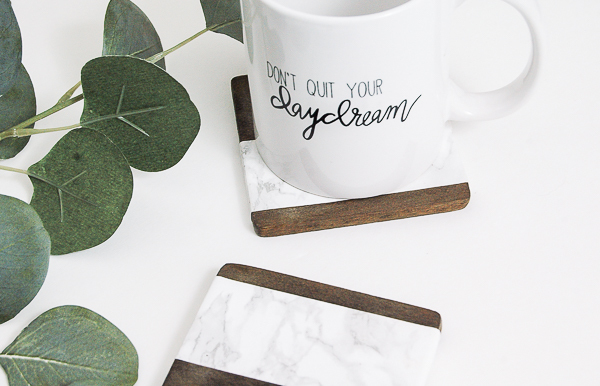 One of the items that caught my eye were beautiful wood and marble coasters. I was so tempted to buy them, but then realized I had everything at home to make my own. So, what did I do? As soon as I got home from work I starting making coasters. 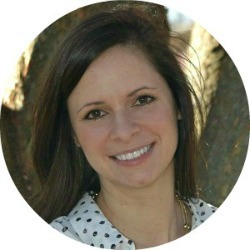 Affilate links have been used. 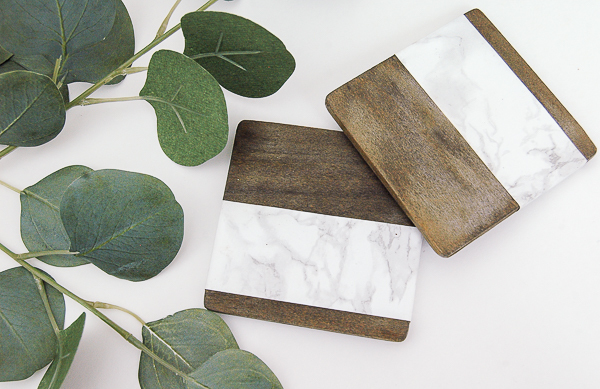 Any scrap wood could probably be used to make these coasters, even pallet wood (just make sure it's safe to use inside and you sand it smooth.) I used popular wood to make my coasters since that's what I had leftover from a basement project. 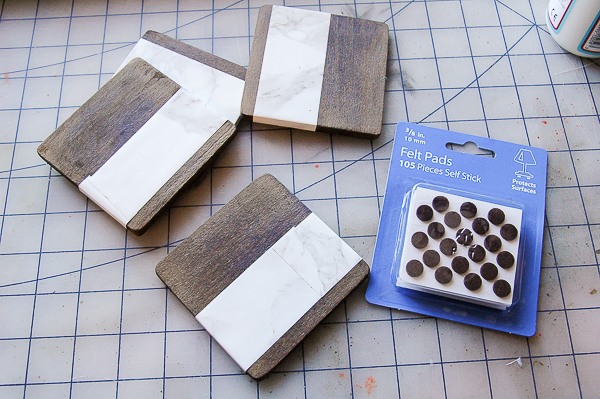 I cut each coaster into a 3 1/2 inch square using my sliding mitre saw. 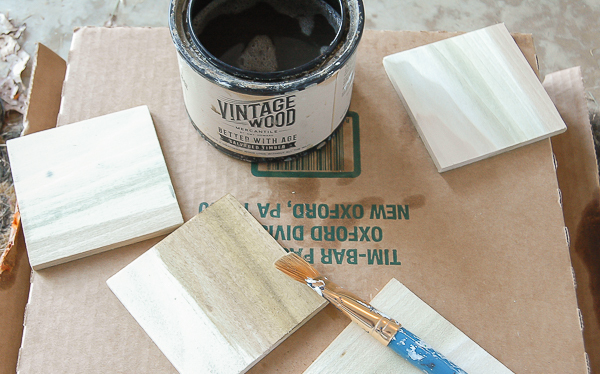 I originally thought I would simply use Vintage Wood, but the wood I was using (poplar) didn't get as dark as I had hoped. 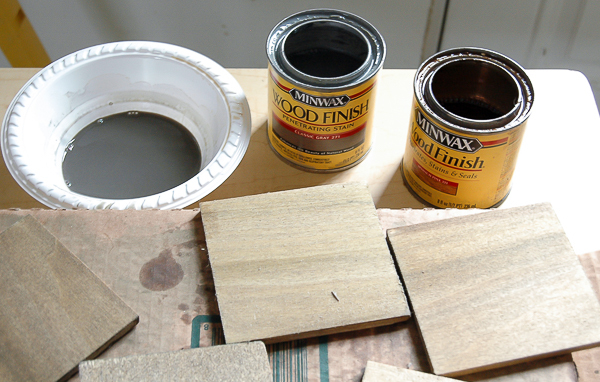 That's when I decided to do a mix of gray and oak stain, which also ended up not being the color I had in my head. In the end, I wound up using Espresso. Again, you could use any stain color of your choice, I was simply going for a stronger contrast between my wood and faux marble. 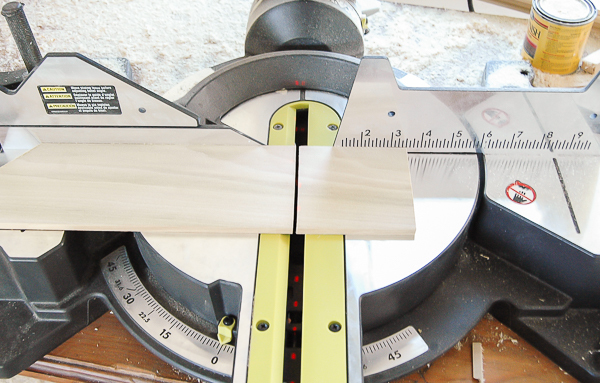 Next I cut my marble contact paper using a rotary cutter. 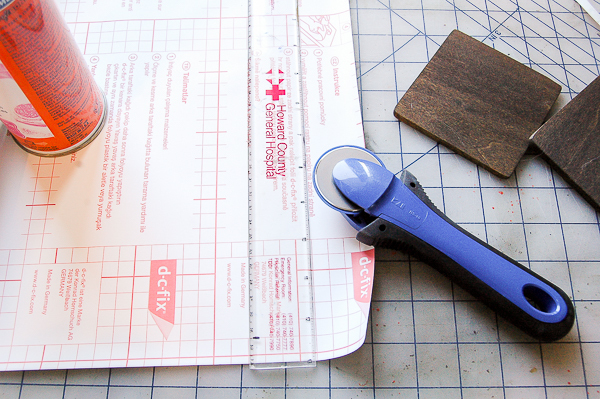 Scissors would work, but a rotary cutter is the best way to get a nice clean line. 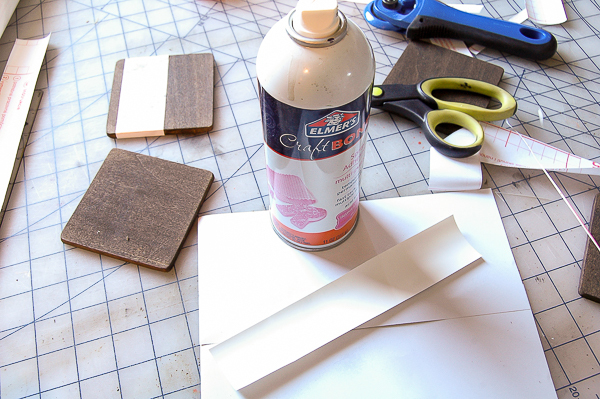 To ensure the contact paper adhered probably I used spray adhesive on the back of the contact paper. I then wrapped it around the wood, overlapping the ends. 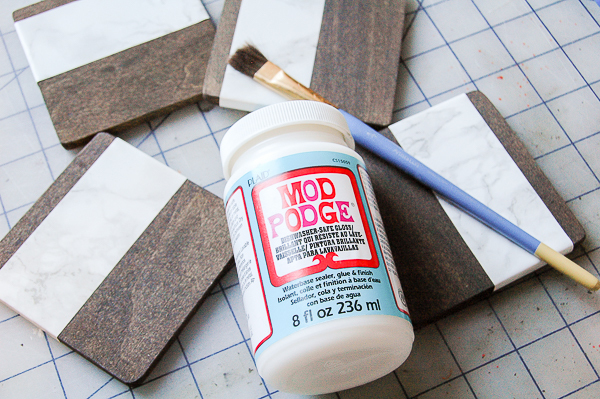 To keep them waterproof I applied a layer of Dishwasher Safe Waterproof Mod Podge to the tops, bottoms and sides of each coaster. It's not necessary, but I also added felt pads to the bottom of each coaster to make sure they didn't damage the surface they are sitting on. 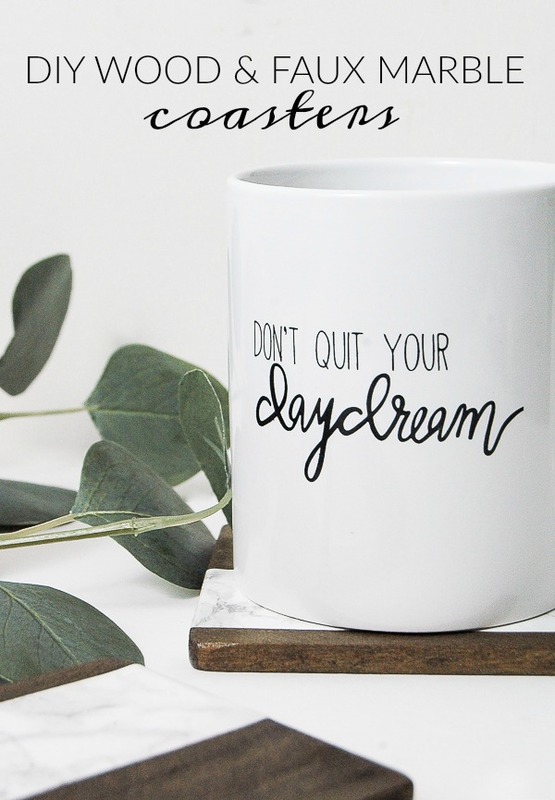 I love how they turned out and think they look great under my favorite mug from my friend Liz, from The Summery Umbrella! 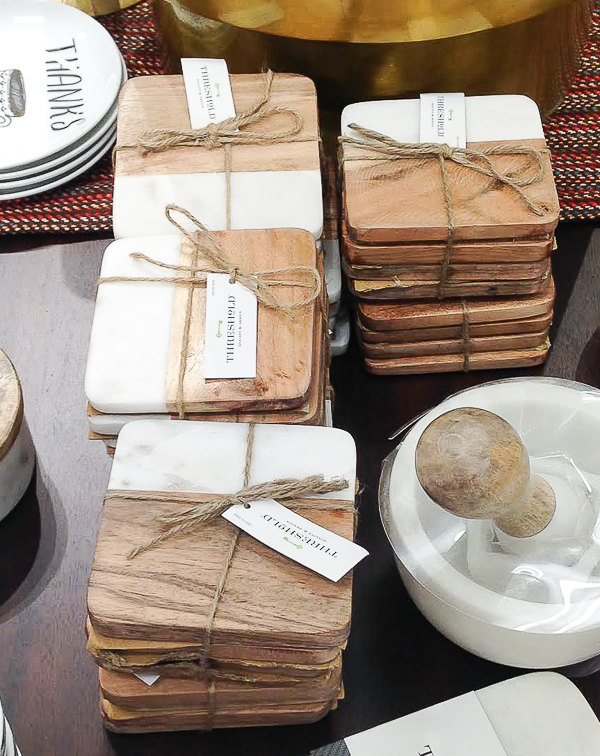 These inexpensive wood and faux marble coasters would also be great for gift giving. 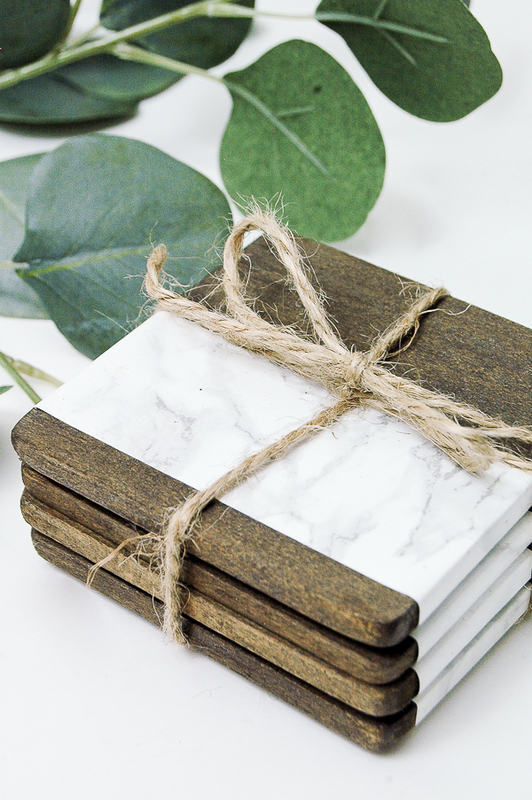 Just tie them together with jute and attach a tag for a perfect DIY gift. I love these!! That's such a great idea. 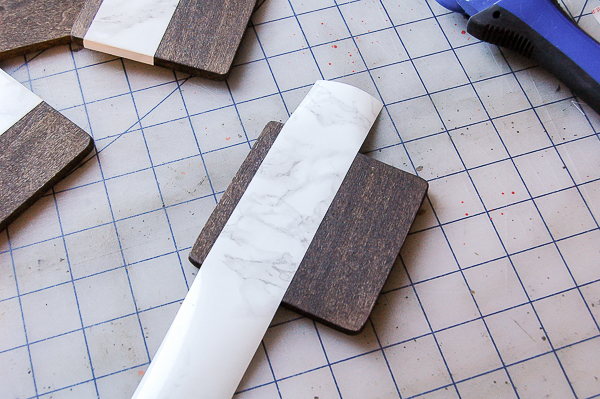 I have that marble contact paper and I never thought of using it this way. So creative! This is something unique and creative. I would like to try this in my next project. You have done a great job here.